It was always going to be difficult to overshadow Paul Pogba. A prodigal son returned to his home and the story had already been written. Jose Mourinho could try to overshadow proceedings, as could a visiting Southampton. Even a lacklustre debut of Sky’s Friday Night Football coverage did its utmost to ruin the narrative of the evening. But when all was said and done, only one man could relegate such a newsworthy event to second fiddle. Cometh the hour, cometh Zlatan! The Ibrahimovic showcase stalled for the first 28 minutes. Neither team offered much of a threat until a dinked header from Juan Mata landed onto the flying overhead boot of the Swedish striker, avoiding the net much the same as a Zlatan cross – a mere minute later – narrowly escaped Wayne Rooney in the box. It wasn’t until six minutes later that inspiration struck. 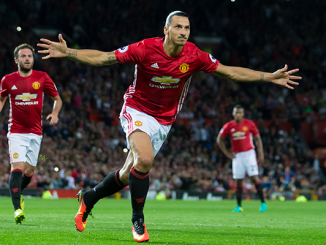 From the right hand side, the skipper crossed in a lovely ball onto Ibrahimovic’s head from distance, a header that sank deep into the Southampton net’s left corner. The goal came out of thin air but the dye was cast; this Manchester United isn’t messing around anymore. Pogba, the World record transfer from Juventus, was on display for the full 90 minutes despite insinuations to contrary, offering a small glimpse into the upcoming season. 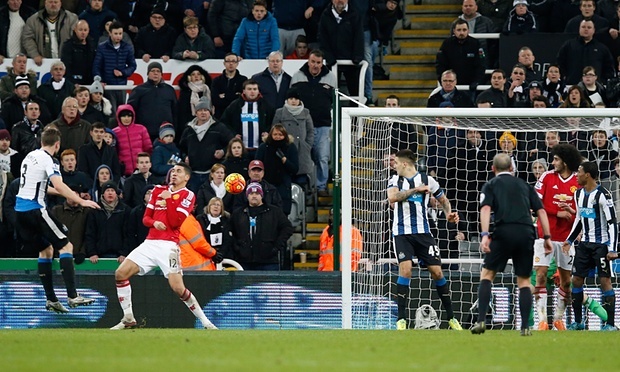 A few wayward passes betrayed the nerves of his first game back in the Premier League. Otherwise, this was a sharp and confident young performer who covered the length from David De Gea to Fraser Forster. Even his midfield partner for the night, Marouane Fellaini showed a renewed intensity and worked to earn his stripes in a position so hotly contested within the team. How an Ander Herrera or Morgan Schneiderlin fit into the manager’s plans is yet to be seen. It could have been all about the French superstar with his marauding runs and inceptions of the ball, but Luke Shaw put paid to that in the second half. The left-back, arguably the silent hero of the night, ran into the Southampton box and was brought down by Jordy Clasie. Ibrahimovic stepped up to take the resulting spot kick and calmly sent the keeper chasing air for a two goal cushion. The next forty minutes served only to consolidate the three points. With a solid back four and Pogba’s introduction to the team, Mourinho seems to have instilled a renewed sense of intimidation that served Old Trafford’s reputation as a fortress so well under the Alex Ferguson reign. Not that there weren’t worrying signs. 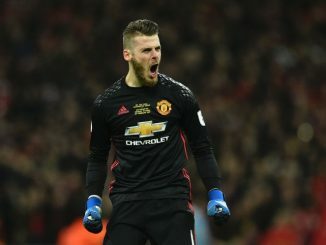 A couple of times in the first half, De Gea was caught shouting at his wall to wake up. Bailly looks every inch the Nemanja Vidic to Daley Blind’s impressive reading of attacking movement, but he may be well served working with a returning Chris Smalling soon. Blind can feel rightly disappointed if that happens sooner than later. But whilst Zlatan was pronounced King of Manchester for his first night on home soil, the signs were positive that his reign may be hotly contested. The Swede makes it look so easy to float into a winning position once or twice, but make no mistakes about it: from his stats for the first game alone, Paul Pogba is a sheriff fit to run this town.